How Many Bats Were on Noah’s Ark? You may have reasoned that bats are unclean (Leviticus 11:19) and are not birds so only two bats would have been on the Ark. While your observations are correct, your conclusion would be incorrect. God sent seven pairs of every kind of flying creature—not just the clean varieties and not just the birds. 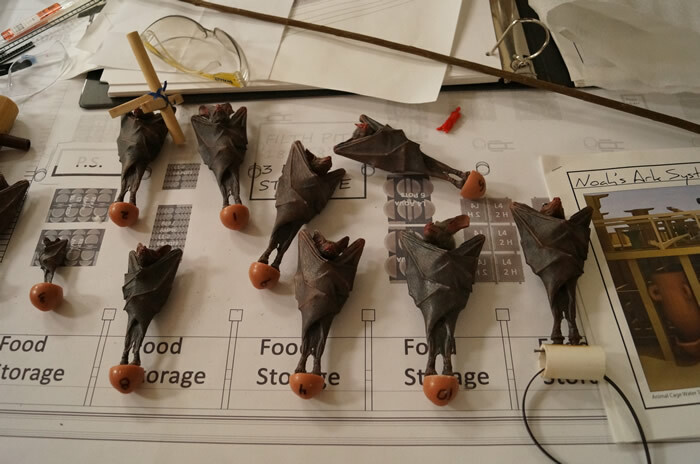 Plus—plot twist—we’re not entirely sure how many different kinds of bats God made. Ultimately, the answer to this “How many bats were on Noah’s Ark?” question is simply unknown. So what is the Ark Encounter to do in order to present an accurate picture of how many animals were on board Noah’s Ark? If you’ve been following the Ark blog for a while, you might have heard us talk about the “worst case scenario.” We use that term to refer to methodology we used to determine the number of animals God brought to Noah because we have likely overestimated the number of kinds based on the latest research. We did this to help visitors understand that, even under the worst case scenario, all those animals would have fit on the Ark. So back to bats. It is quite possible that every bat is a member of the same kind, in which case only fourteen would have boarded the Ark. But without solid data to show that the various bat families can interbreed, we have split them into 22 kinds, representing living and extinct families. Since the Ark had to house 14 of each kind of bat, then using the worst case scenario, there would have been 308 bats living on board. 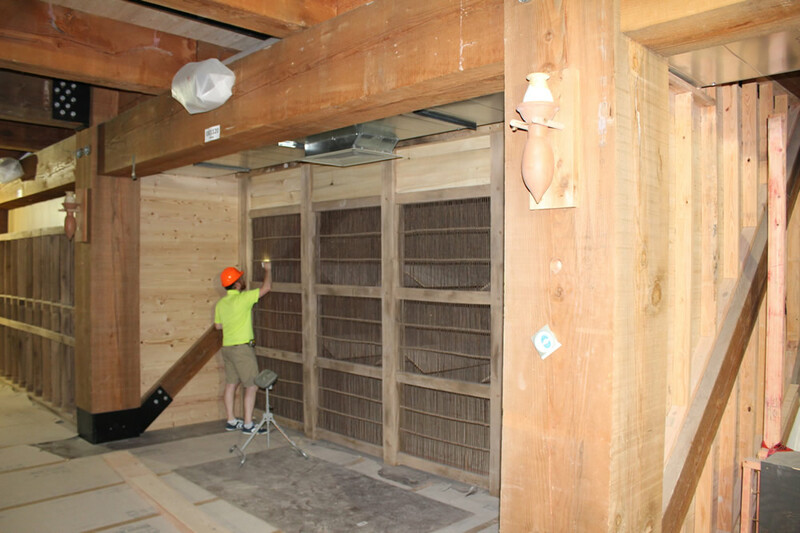 At the Ark Encounter, we aren’t going to show every single animal that would have been on the Ark for several reasons: time, cost, and space (since much of our space will be used for teaching exhibits to facilitate thousands of guests per day, something Noah did not need to do.) For example, you won’t find two representatives of the tapir kind or fourteen cattle on the Ark Encounter. But we are choosing select exhibits, like the one about bats, to help teach people the reality that fewer than 7,000 animals were on Noah’s Ark. And hopefully, by looking at the size of the structure itself and understanding that he didn’t need the largest representatives of every kind, it won’t be hard to imagine how they all fit on board. Cage fronts for the bat exhibit. All 308 bats will be inside one cage. Previous Article The Half-furred Anisodon Next Article What Will You Encounter in the Ark Queue Line?